Today, around the league good and bad news happened. There were veterans fining new homes as training camp starts or about to start for some teams. The best news I heard in a while in the NFL was Eric Berry being cancer free. Eric Berry is a great player, but a great person himself. Glad to hear Berry being cleared of that sickening disease. No one has talked about this due to Tom Brady’s suspension decision. Futhermore, Brady is suspended the first 4 games for the 2015 season and is taking it to federal court now to reduce the suspense. Next, on the list is Sheldon Richardson, Richardson was arrested for illegal street racing and was clocked 3 times at 122, 135, and 143 mph on 7/14/15. He was arrested for resisting arrest and fleeing the cops. He has a fast car. Hey Sheldon, what car do you drive ? In addition, this could lead to Leonard Williams getting more snaps. Marcus Mariota was named the starting quarterback for the Titans by head coach Ken Whisenhunt. Mr. Mora, the Giants owner said “the team has not seen defensive end Jason Pierre-Paul since a July 4 fireworks accident”. Seems like the plan is to move on without him. If that is the case then hopefully the Bucs bring him in due to the lack of defensive ends they have. Other Giant news is that wide receivers Odell Beckham Jr. and Victor Cruz will avoid the PUP list. Also Mr. Mora said “Manning’s agent is asking for the moon right now”. Eli is a good quarterback, but he will most likely get the deal done by the start of the season and if not then the start of the next off-season. Junior Galette visited the Redskins today and met up with the coaches and other team officials, according to team sources. 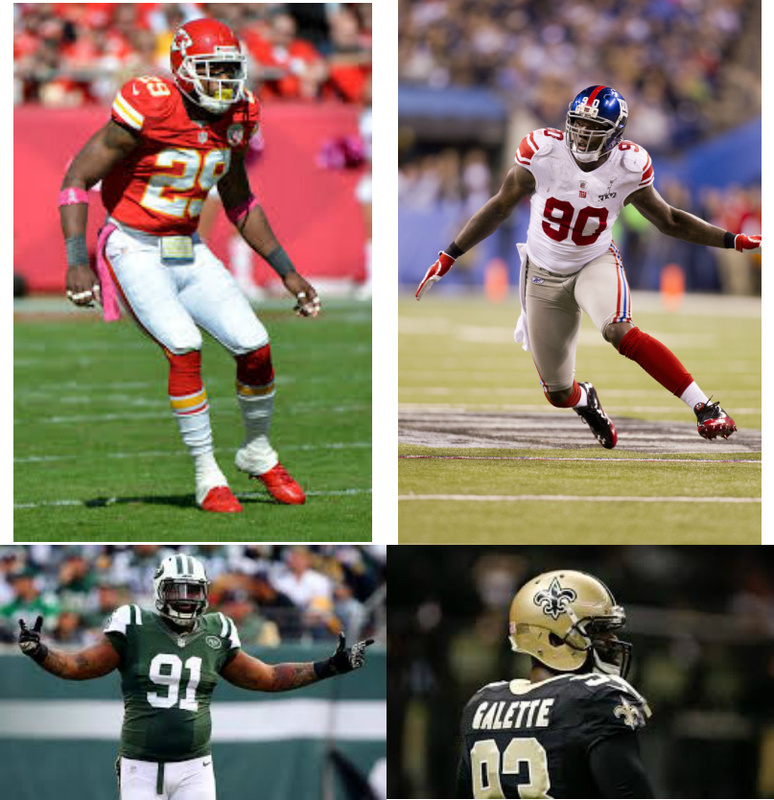 6 other teams are interested in Galette and I expect him to try the other teams, but the Redskins fit him due to his experience in a 3-4 defense, so Galette might just end up in Washington. Bengals signed former Browns second rounder Greg Little to a 1 year deal, according to Rand Getlin of NFL Network. Little has experience and provides solid depth to the wide receiver group in Cincinnati. Little played last season for the Bengals and played in limited snaps. He had played in 6 games and recorded 6 passes for 69 yards and no touchdowns, per Pro-Football-Reference.com. Previous Post The Price Is Right In Toronto !